← Away from the big hill. 9C, light SE dry and white cloud. Commute trade with MapMyRide+! Distance: 29.31mi, time: 02:02:21, pace: 4:10min/mi, speed: 14.38mi/h. 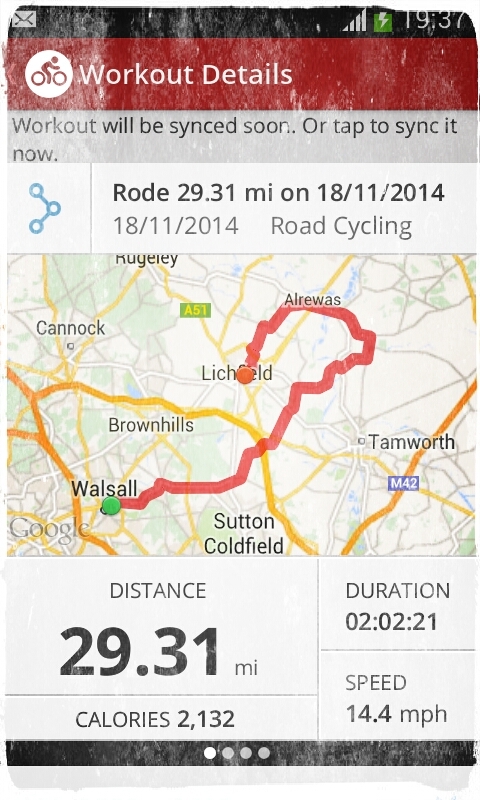 Extended ride across the Tame valley. Near the river, well away from any lights apart from my own I saw a shape above. It could have been a reflection in the rim of my glasses but it wasn’t. Flapping slowly and more notably- in utter silence. A Barn Owl was flying across my path to the east. Wonderful. This entry was posted in Cycling and tagged barn Owl, commute. Bookmark the permalink.